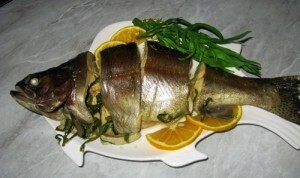 Once, Sevan was famous with its trout. Today there is almost none in the lake. This fish could not overcome the experiment of the Soviet power started in the early thirties. At the time, they began to take a billion cubic meters of water from Sevan annually for irrigation of the Ararat valley. As a result, the lake level lowered by 18 meters, and it is not known, whether it can be saved. When I was about to go to Armenia, I was told, “Make sure you try Sevan trout. There is no other tastier fish in the world! I found a fish range just at the entrance of the central market in Yerevan. 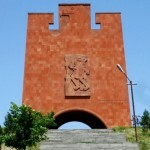 There was trout on the counter – but … from the town of Garni. I was told that Sevan trout is very rare in here. It is generally very little, and take it is sold badly – my dear, $ 40 per kilogram.” It should be noted that in Armenia, almost in every town, there is a fish farm and all the goods are taken to the capital. 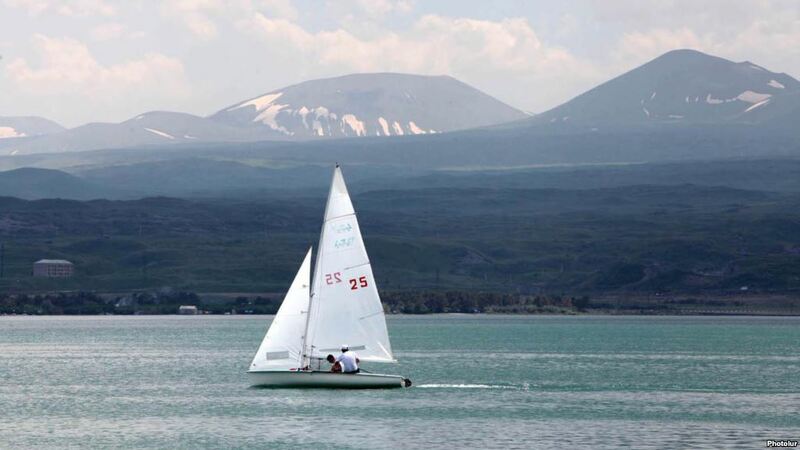 In general, I could not avoid a trip to Lake Sevan. 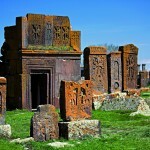 By the way, besides the lake it is the name of the town, which grew out of the Malaccan village Yelenovka. Malaccans came to this place in 1835. They say, at that time trout was so much in the lake you could almost catch with your hands. With the advent of Soviet power quiet life of the lake was over. It came to the mind of one of the chiefs that too much water evaporates from Sevan , and it would be better to use it for irrigation in the Ararat valley. It was decided to lower the lake level by 50 m. Then the surface area would decrease, correspondingly, there would be reduced evaporation. Besides, you could plow the drained bottom, which was almost devoid of fertile land for Armenia, and it would be a great help. They began to lower the level in 1933. Even at that time, many experts argued that such a blatant interference can ruin the lake. But no one listened to them. 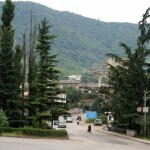 Annually BCM water was taken from Sevan. In the 50’s it became clear that scientists were alarmed not in vain. 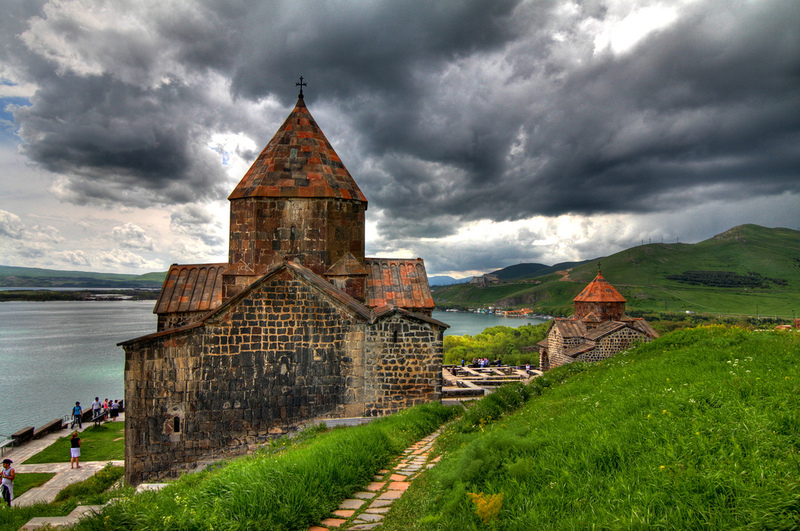 Sevan is the largest lake in the Caucasus, the national pride of Armenia. Today total extinction of it is threatening – the level of water in the lake was drastically reduced. Until 70s, 400-500 tons of trout were caught in a year. There were 4 types of fish in the lake: gegharkuni, budzhak, winter and summer bakhtak. Only gegharkuni could adapt to new conditions. Finally, commercial production of trout in the lake had to be banned. And those grown in artificial ponds, has no comparison with that of Sevan. Eggs are fertilized artificially in fish farms. The young ones are kept in “hothouse” conditions for about one year. During this time, they grow up to 200 grams. At the open pasture, without additional feeding, they would not look so sturdy. The second year, trout passes in special fattening ponds. Individual copies of the chase are up to 90 cm and weigh 6 pounds. Color of various species of trout is different. Any fisherman will tell you that the trout are best caught early in the morning or at dusk. Fish are biting on fresh meat, worm, it also takes flying insects. 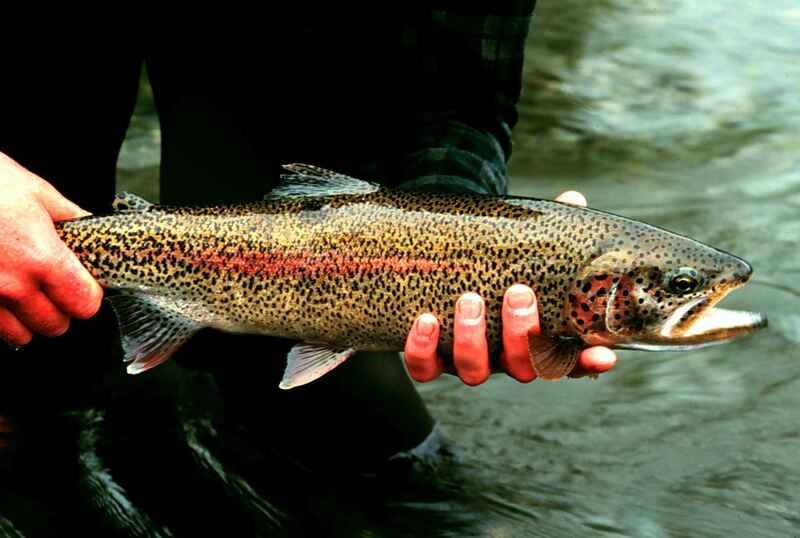 To catch Sevan trout is hard – it is very fearful. After the collapse of the USSR, poachers several years ruled the lake. Now, at least things are put in some kind of order. You got a license – then fish, no – deprive yourself of gear and pay a fine commensurate with the cost of the license. Senior water-bailiff invited me to go fishing. Husky boat, net of half a kilometer and a very well fed sheep – all these indicated that the fisherman has the most serious intentions. I was told that such nets were used for fishing thirty years ago. Today, only the senior water-bailiff can afford fishing with it, and even he can use it exceptionally in case of the arrival of distinguished guests. Simple fishermen with license in Sevan can do fishing with rod or a small seine. Our boat is named after Colonel Karapetyan, the hero of Karabakh war. A dozen of people crammed on it. Previously, it was all the same where you cast a net – fish everywhere, there is plenty. Now, without the help of sonar it is impossible to fish. Our mate spotted on a small device. This was certainly not a trout. It does not go near the surface. Trout dwells at the bottom. The water is cooler and cleaner there. Making a semicircle, our boat left astern a burse-like net. When the net is filled with fish, it is dragged from the down. The can looks as if in an open bag. It remains to tighten the bag on top. Gulls are a good sign – the are fish. The fishing was good – 4 trunks of Onega salmon. Like trout, whitefish belongs to the family of salmons. The fish was sat down by the trout to restore the collapsing bio-system of the lake, and it is well settled down in Sevan. Externally whitefish reminds herring, so it is often called – herring. They say this fish is fat and delicious. But I failed to try the whitefish, so and Sevan trout. We just could not catch it, but instead of whitefish, the cook, on the occasion of successful fishing, prepared mutton. Before leaving Yerevan, I called on my friend chef cook, who was just preparing trout. Fish meals are his best cooked. The first thing he added tarragon and salt to the fish as needed and gilled it with pepper. He added to the tarragon few slices of tomato and butter. The next step was cutting vegetables. Potatoes, tomatoes, sweet and hot peppers, and lemon, Arthur put it all on the bottom of the pan – at the top was fish. It is necessary to add a bay leaf, herbs, salt and pepper. Pot must be filled with boiling water and put on a small fire. Decoration of the dish depends entirely on the fantasy of the chef. Arthur uses a lemon, sweet and hot pepper, pomegranate seeds, greens, cucumbers and olives. But if by some miracle you managed to get a real Sevan trout, all this decoration would be completely superfluous. You simply need to cook it in lightly salted water and in any case do not add anything to it.